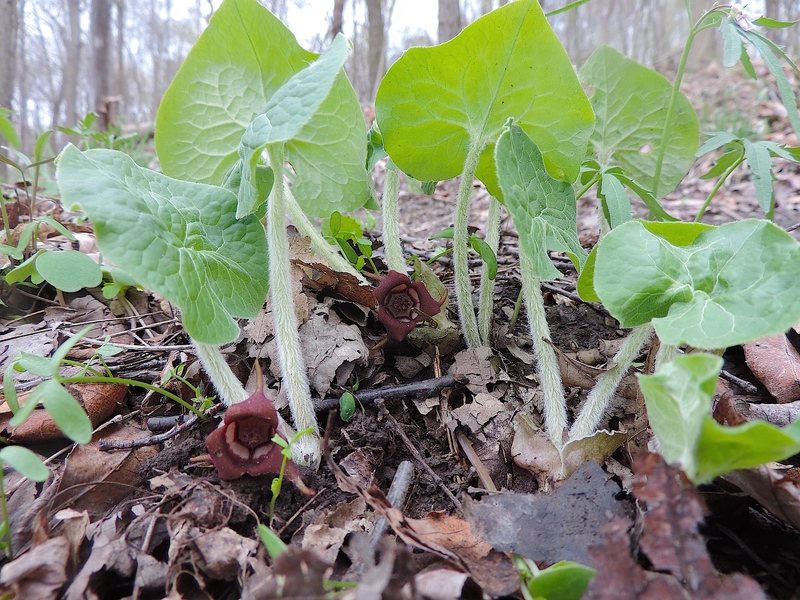 Wild ginger (Asarum canadense) — gotta take your time to really appreciate this one. The flowers are a bit difficult to view from the top, so when you spot the heart-shaped leaves, get down real low and peer underneath. The rhizomes smell and taste somewhat like true ginger, though the two plants aren’t closely related. Use wild ginger in moderation — it contains a compound known as aristolochic acid, which can be carcinogenic and medicinal… depending, of course, on the dose. Categories: Foraging, Medicine | Permalink.